Robert Battle is the third artistic director of the Alvin Ailey American Dance Theater, the NYC-based modern dance company founded in 1958. Seven years into his term, Robert is at the forefront of a company that has always been an incubator for work that focuses on social justice and social change. This is most evident in the success of Ailey’s masterwork, Revelations (1960), which was born out of the choreographer’s “blood memories” of his childhood in rural Texas and the Baptist Church. Using African-American spirituals, song-sermons, gospel songs, and holy blues, Revelations explores the places of deepest grief and holiest joy in the soul. Arguably one of the purest tributes to the resilience of the human spirit, Revelations is still very much alive and relevant today. 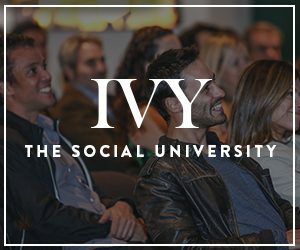 In this episode of the IVY Podcast, moderated by IVY’s Arts and Culture Director Phil Chan, we are lucky enough to hear all about it directly from Robert Battle himself.